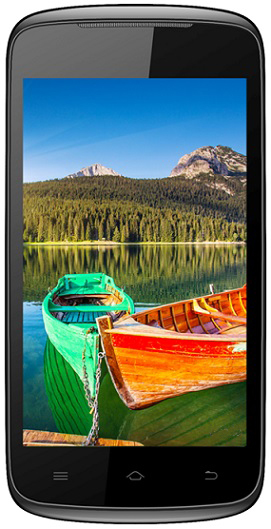 Celkon Campus A63 sports with a 4 Inches capacitive touch screen with a screen resolution 480×800 pixelsThe smartphone is chipped with a 1.2 GHz Dual-core Processor with 512 MB of RAM . It runs on Android v4.1 (Jelly Bean) OS. The smart phone comes with 3.2MP rear and VGA front camera with LED flash.Celkon Campus A63 comes with 512 MB of internal memory and can be expandable upto 32GB via microSD card slot. The connectivity features of Celkon Campus A63 are FM Radio,Wi-Fi,3G, Bluetooth,A-GPS, microUSB, 3.5mm audiojack and it supports dual SIM connectivity.The battery capacity is loaded with 1500mAh.